You can enjoy All Net texts from Sun Cellular Text All plus (TAPLUS) with unlimited text to other networks (Globe, Smart, TM, TNT, Sun) plus 60 minutes Sun to Sun calls and 30 free mobile internet for only P25 per day. 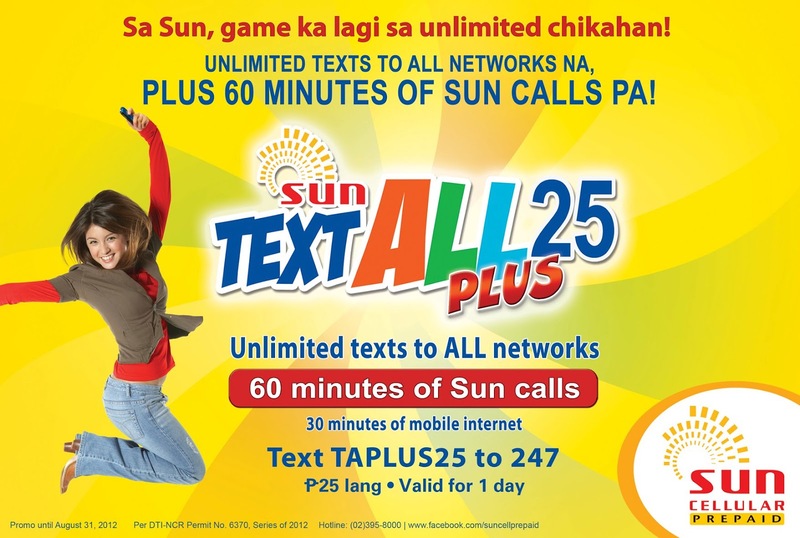 Sun Text All Plus promo is also available in other denomination that is valid for 7 days for only P100. To register on this text to all networks promo from Sun just text the code or keyword below.